The Executive Secretary, Nigerian Content Development and Monitoring Board, NCDMB, Engr. Simbi Wabote has said that huge opportunities lying untapped in the Nigerian oil and gas industry as well as in the African region can be unlocked through better collaboration among stakeholders in the industry. Delivering a keynote speech during the third edition of the West African International Petroleum Exhibition and Conference, WAIPEC in Lagos with a theme, “Sustaining oil and gas production through innovation and collaboration”, Wabote called for collaboration at the regional level as well as among indigenous companies in Nigerian oil and gas industry. 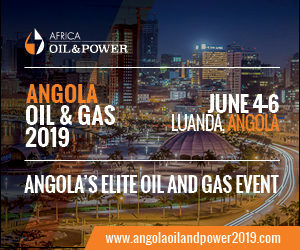 According to him, growth and sustained oil and gas production in the Africa region will remain unrealistic unless barriers hampering sustained production are removed. Wabote said, “A look at the Africa energy map reveals the rapid spread of hydrocarbon discoveries especially in the last two decades. While these discoveries are exciting and present huge opportunities, the needed collaboration amongst businesses at regional and continental level has not been as rapid. “The hydrocarbon discoveries in the West African region present opportunities for innovation and collaboration across borders to overcome the barriers. The Economic Community for West African States (ECOWAS) must remain at the forefront of pulling down these barriers rapidly. “ECOWAS has done a remarkable job to enhance freer movement across West Africa but there is bigger opportunity to double the current $300billion per year trade level across the region on the back of oil and gas discoveries,” he said. The ES identified some of the factors hindering collaboration among businesses in the African region to include, hard issues like infrastructure, and soft issues like language barrier, colonial heritage, logistics, among others. Nudging PETAN to take better and stronger collaborative move that will enable the Association take advantage of the opportunities in the Nigerian oil and gas industry, the ES said, “The opportunities for collaboration in Nigeria is huge and remains largely untapped. “There is need for business outfits to aggregate into a more formidable entities. We have seen some joint ventures, partnerships, consortia, and other arrangements set up to take advantage of the opportunities in the oil and gas sector but we need more of such. “As a form of disruptive innovation, I want PETAN members to widen their envelope of collaboration by coming together to jointly bid for the execution of one of the big ticket projects.I believe that such endeavour will trigger innovations amongst the parties involved and challenge the fundamentals of our mind-set to such project. In his earlier remarks, the Chairman of Petroleum Technology Association of Nigeria (PETAN), Mr Bank-Anthony Okoroafor, said that, WAIPEC was designed to showcase the available opportunities in the West Africa Oil and Gas industry and present a platform to discuss how to unlock the opportunities. Continuing, Okoroafor called on new entrants into the oil and gas industry in African continent to learn from Nigeria’s years of experience. “The oil and gas industry in Nigeria is over 60 years, and a lot of experiences have been gathered over the period. The new entrants into into the market do not need to go through the route that Nigeria went, and repeat the same mistakes,” he said.